We are happy to welcome Emma Rodero to the International Sound Awards 2019 Jury. Emma Rodero is a researcher and professor in the Department of Communication at Pompeu Fabra University (Spain), PhD. in Communication, PhD. in Psychology, Master in Pathology of Voice and Master in Psychology of Cognition. She obtained a Marie Curie fellowship (European Union) to conduct research in US about cognitive processing of radio commercials. She is author of more than ten books and fifty scientific papers about radio. Rodero usually teaches Public Speaking and Sound Advertising at UPF. 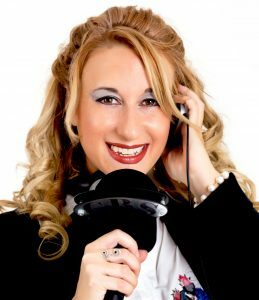 She has over a decade of experience in the radio industry. She is currently a voice-over artist and has received awards for some radio dramas.